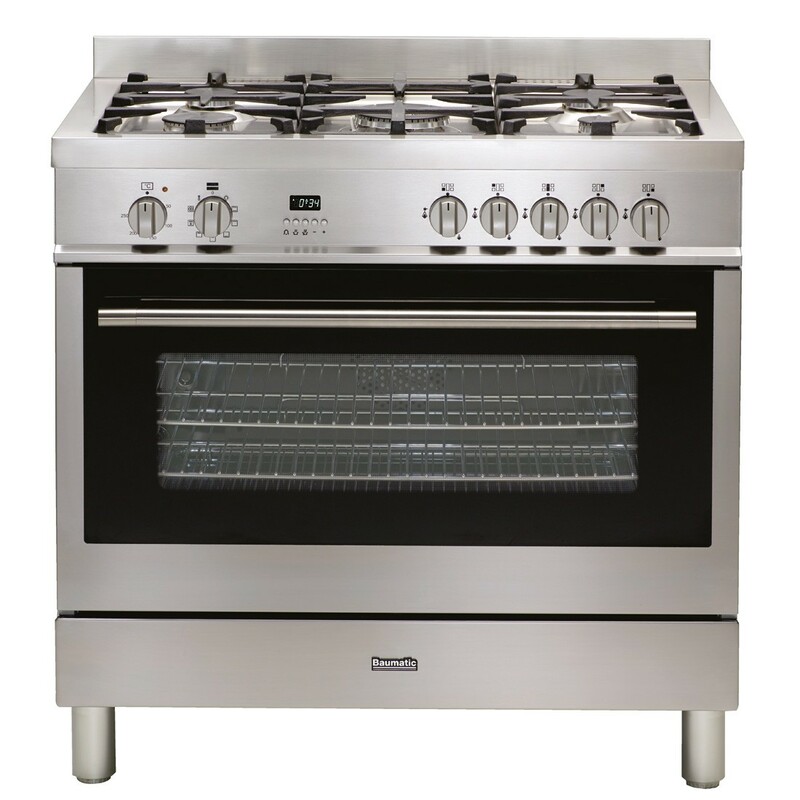 This 90cm freestanding cooker features a square line commercial design. 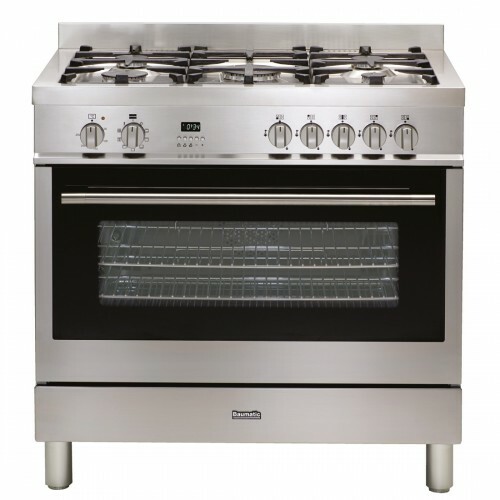 It is made in Italy and has a gas cooktop with an electric programmable oven. The 124 litre large capacity oven is capable of cooking for the largest of families. The 9 function oven includes the fan forced function which ensures heat is more evenly distributed throughout the oven enabling you to cook different foods at multiple levels in the oven all at the same time. The cavity cooling fan technology moves ambient air, cooling and protecting both the electronics of the oven and the cabinets which surround the oven. Catalytic oven liners trap grease and cooking residue and along with removeable chromed side racks and inner glass door make the oven easy to clean. The gas cooktop has 5 Italian made burners with heavy duty cast iron trivets including a powerful triple ring centre wok burner. Each of the burners have a flame failure safety device that ensures if the flame is accidentally extinguished the gas supply will automatically turn off.